The District 86 school board made unprecedented cuts to major sports and activities and now students are fighting back, marching for a $140 million referendum. NBC 5's Charlie Wojciechowski reports. 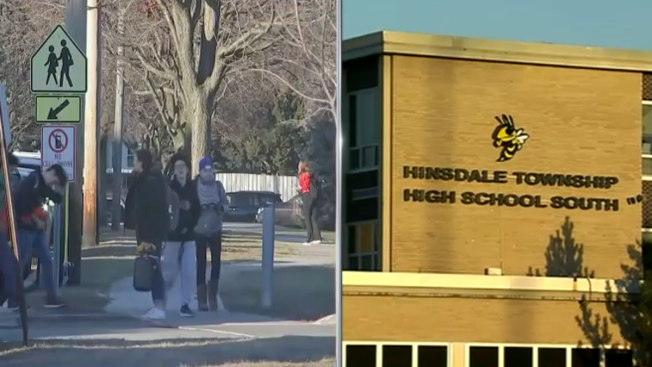 Some Hinsdale Central seniors will never see any of the benefits of a $140 million referendum pending before voters in the district. But those old enough to vote say they want to be the first to cast a ballot for the measure. That’s what brought them here to the Oak Brook Village Hall. "My brother is a freshman and I just really want him to be as successful as I was with all the resources," senior Olivia Kareisher said. The money would be spent to restore programs and undertake major improvements at Central and at Hinsdale South. Designed to keep these high performing schools competitive with others in the area. "Everything on this list is in need," parent Kari Galassi said. "We have not had a referendum is 63 years. It’s very affordable. It’s less than a dollar a day for the median home." Among the most expensive items: replacing the pools at both schools. At Central that would cost an estimated $17 million dollars. Josh Lang/Senior "Everything that is at risk of being cut here, all the athletics, is just part of the culture here," senior Josh Lang said. "Even for people who aren’t involved in those activities." The cost would be paid for by property tax increases. But opponents say the plan is wasteful and in affordable. A group calling itself Do Better D-86 says, “the district is resorting to Chicago-style political scare tactics to ram through a $140 million tax increase, which will cost us over $208 million with interest.